Sorry you guys had some technical difficulties, so this is going to be a short one... I PROMISE i will return to form next week with another installment of forcing myself into scenes from TWD and mayyyyyybe Fear TWD? If you guys have any favorite scenes you want to see me in, please post a comment! no closecaptions can someone tell m e what it is. 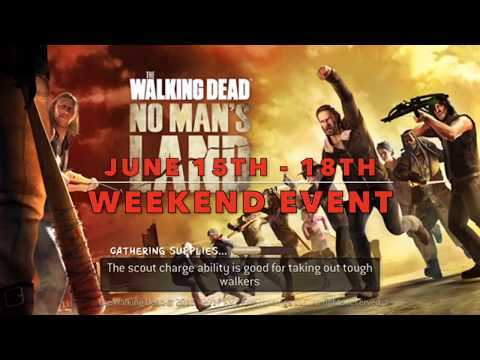 @ALF4reals Can you tell us what the weekend event is since your video doesn't play? Free badge swap. That’s it for this weekend. @ALF4reals I do enjoys your videos. I'm just deaf. I like the way you insert yourself in the scenes. @dandancar77 OMG YESSSSSSSSS how did i forget about that!??!! @ALF4reals Are you saying that the badge swap will come up again this weekend June 22nd as well? Thanks. @ALF4reals Thanks! May the Force be with you.